When a ladder just won’t do, then consider the option of an instant stairway instead. There are times when the vertical requirements that are needed at a job site make a ladder impossible to use. 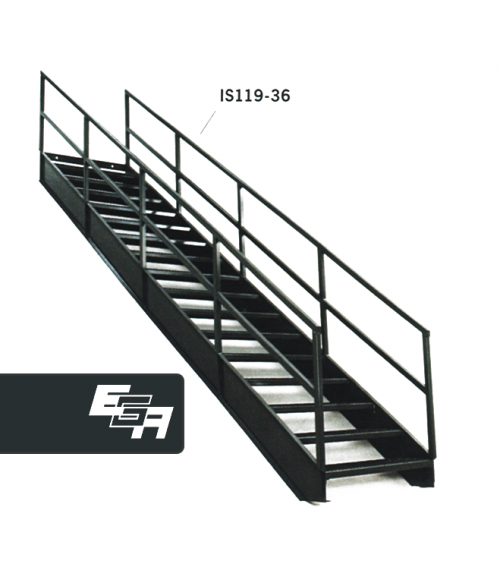 Thanks to the all-welded industrial stairways that are available today, you can put in a permanent solution that everyone can safely use over the course of a single afternoon. There are two options to consider when you’re looking at using a stairway for your operations. 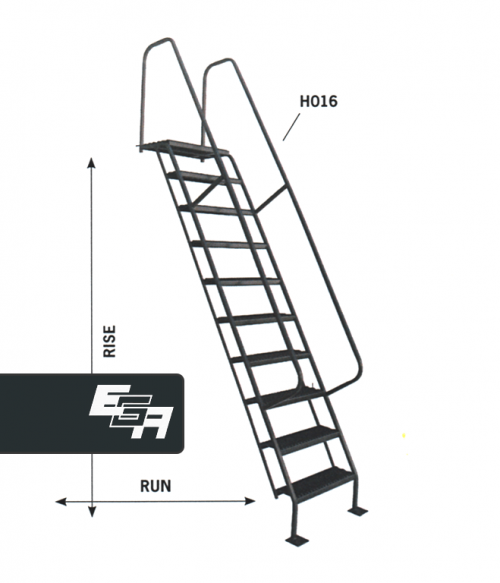 60-Degree stairways are fairly close to what many portable ladders provide, but provides you with a permanent solution for a climbing need. Handrails begin at the third step and a walk-thru experience is offered at the top of the equipment. This is a good solution if the budget is tight and your space is limited. A 36.4-Degree stairway is the solution you want when you have multiple personnel who have vertical access needs that must be met. The lower slope allows for an easier climbing experience for everyone. Handrails begin at the first step and you still receive the walk-thru experience for easy access from floor-to-floor. You have options that go beyond the severity of the climbing slope that is offered by your new stairway. Step options are available up to 16 steps on some models right now. The platform rise ranges from 49-119 inches. You also choose the total run of the stairway. Each stairway also meets or exceeds current safety regulations that are published by the US Government. Because this is a stairway, international building codes and localized variations may also apply. Check with your local jurisdiction for any specific fire code and stairway installation code requirements or building permit laws that may be in place. Factory Equipment cannot be responsible for purchases made that do not meet local coding requirements. It is the responsibility of each customer to check on the viability of a stairway installation. Our team is standing by right now to answer any product questions you may have. If a ladder isn’t the right tool to use, let a stairway from Factory Equipment be the solution you need.